In the last several years, technological progress has accelerated rapidly. Artificial intelligence (AI) has brought self-driving cars to our streets, super-automation to our factories, deep learning algorithms that beat world champions, image recognition programs that diagnose cancer more accurately than experienced oncologists can, voice recognition machines that understand speech on a par with humans and a host of other achievements which would have been hard to imagine even a decade ago. The critical interest, however, is not in what has been accomplished, but rather where technology is going and what will be the implications of forthcoming advances in all aspects of our lives, work and societies, including the possibility, some argue, of mass unemployment and huge income inequalities, as machines and robots powered by AI replace human labor. It is the purpose of this paper to discuss AI and related technological advancements and consider their implications for humanity in general and for a small country like Cyprus in particular. The paper is organized into three parts. It first looks at AI and its achievements and considers four scenarios of how it could affect us. In the second part, the paper presents a complementary to AI technology, that of intelligence augmentation (IA) that provides a different perspective to where technology is leading us and the implications involved. 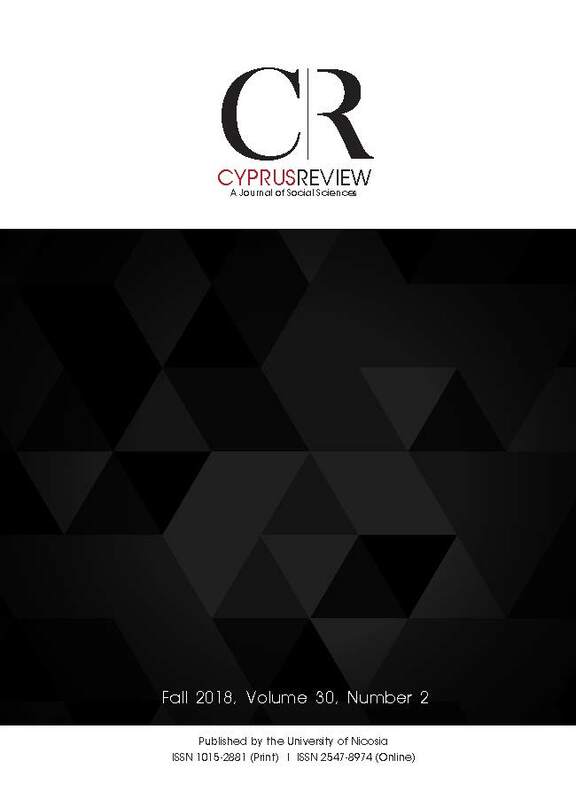 The final, third part considers the consequences of AI and IA for Cyprus and what would need to be done to exploit their advantages whilst minimizing their drawbacks. Bostrom, N. (2014) Superintelligence: Paths, Dangers, Strategies. Oxford: Oxford University Press. Coats, K. (2018, December 28) ‘Let The Robots Take Over: How The Future Of AI Will Create More Jobs’. Forbes. Available at https://www.forbes.com/sites/ forbestechcouncil/2018/12/28/let-the-robots-take-over-how-the-future-of-ai-willcreate-more-jobs/#524d72ba3c6d. Crevier, D. (1993) AI: The Tumultuous History of the Search for Artificial Intelligence. New York: Basic Books. Dreyfus, H.L. (1972) What Computers Still Can’t Do: A Critique of Artificial Reason. Cambridge, MA: MIT Press. Dvorsky, G. (2013) ‘Humans with Amplified Intelligence could be More Powerful than AI’, Futurism. Available at https://io9.gizmodo.com/humans-with-amplified-intelligencecould-be-more-powerf-509309984. Joy, B. (2000, April 1) ‘Why the Future Doesn’t Need Us’. Wired.com. Available at https://www. wired.com/2000/04/joy-2/. Kharpal, A. (2017, November 6) ‘Stephen Hawking says A.I. could be ‘worst event in the history of our civilization’. CNBC.com. Available at https://www.cnbc.com/2017/11/06/ stephen-hawking-ai-could-be-worst-event-in-civilization.html. Knight, W. (2017, November 8) ‘More Evidence That Humans and Machines Are Better When They Team Up’. MIT Technology Review. Available at https://www. technologyreview.com/s/609331/ more-evidence-that-humans-and-machines-are-better-when-they-team-up/. Kurzweil, R. (2005) The Singularity Is Near: When Humans Transcend Biology. New York: Viking Press. Larson, E. (2015, May 14) ‘Questioning the Hype About Artificial Intelligence’. The Atlantic. Available at https://www.theatlantic.com/technology/archive/2015/05/the-humanistsparadox/391622/. Makridakis, S. (2017) ‘The forthcoming Artificial Intelligence (AI) revolution: Its impact on society and firms, Futures, Vol. 90: 46–60. Makridakis, S. (2018) ‘Forecasting the Impact of Artificial Intelligence, Part 5: The Emerging and Long-Term Future’, Foresight: the International Journal of Applied Forecasting, No. 51: 36-41. Pearl, J. and Mackenzie, D. (2018) The Book of Why: The New Science of Cause and Effect, New York: Basic Books. Peckham, M. (2016, May 5) ‘What 7 of the World’s Smartest People Think about Artificial Intelligence’, Time.com. Available at http://time.com/4278790/smart-people-ai/. Radu, S. (2018, May 23) Which Countries Will Win the Global AI Race? US News. Available at https://www.usnews.com/news/best-countries/articles/2018-05-23/the-potentialwinners-of-the-global-artificial-intelligence-race. Watson, L. (2018, December 10) Englishmen held mighty AlphaZero to draw, Chessable. Available at https://www.chessable.com/blog/2018/12/10/alphazero-google-davidhowell-draw/. World Economic Forum (2018) The Future of Jobs Report 2018 https://www.weforum.org/ reports/the-future-of-jobs-report-2018.